For any new student of human biology, being confronted with thousands of unfamiliar words can be overwhelming. It can also be difficult to identify which words you need to learn first. 1. The words that have been carefully selected are the most important for new students to learn and understand. 2. More information has been provided about each word than is often found in traditional dictionaries, giving students a more in-depth understanding of the word's meaning. 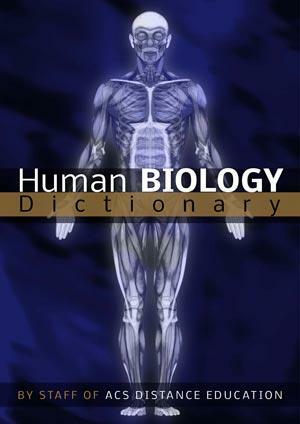 The book is intended as an aid to all new students of human biology.